Hungry Ghosts is cooked up by the best selling author and veteran chef, Anthony Bourdain (Kitchen Confidential, Emmy-Award winning TV star of Parts Unknown) and acclaimed novelist Joel Rose (Kill, Kill, Faster, Faster) back again from their New York Times #1 best seller, Get Jiro!. Featuring all-new original recipes prepared by Bourdain, plus a guide to the ghostly legendary spirits behind these horrifying tales. This horror anthology is sure to please--and scare! On a dark, haunted night, a Russian Oligarch dares a circle of international chefs to play the samurai game of 100 Candles--where each storyteller tells a terrifying tale of ghosts, demons and unspeakable beings--and prays to survive the challenge. Including stellar artists Sebastian Cabrol, Vanesa Del Rey, Francesco Francavilla, Irene Koh, Leo Manco, Alberto Ponticelli, Paul Pope, and Mateus Santolouco as well as amazing color by Jose Villarrubia, a drop-dead cover by Paul Pope. Chef, author, and raconteur Anthony Bourdain is best known for traveling the globe on his TV show Anthony Bourdain: Parts Unknown. Somewhat notoriously, he has established himself as a professional gadfly, bête noir, advocate, social critic, and pork enthusiast, recognized for his caustic sense of humor worldwide. He is as unsparing of those things he hates, as he is evangelical about his passions. Bourdain is the author of the New York Times bestselling Kitchen Confidential and Medium Raw; A Cook's Tour; the collection The Nasty Bits; the novels Bone in the Throat and Gone Bamboo; the biography Typhoid Mary: An Urban Historical; two graphic novels, Get Jiro! and Get Jiro! : Blood and Sushi and his latest New York Times bestselling cookbook Appetites. He has written for The New Yorker, The New York Times, The Times of London, Bon Appetit, Gourmet, Vanity Fair, Lucky Peach and many other publications. 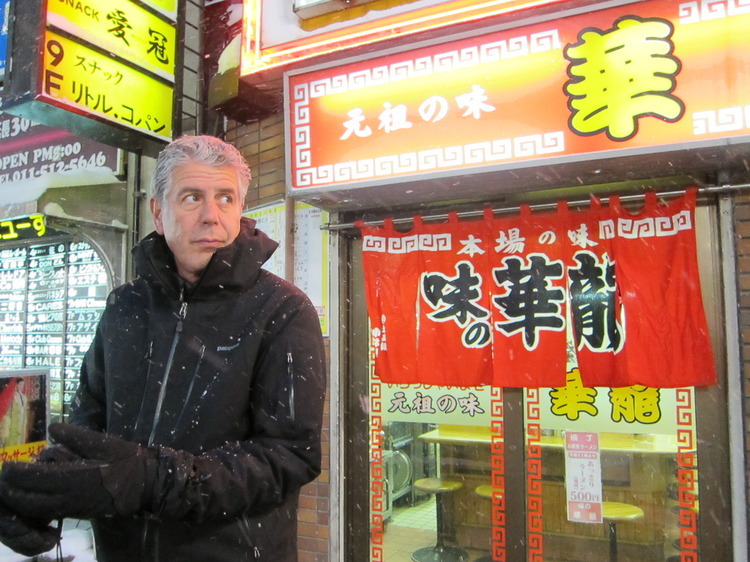 In 2013, Bourdain launched his own publishing line with Ecco, Anthony Bourdain Books, an imprint of HarperCollins. He is the host of the Emmy and Peabody Award-winning docuseries Anthony Bourdain: Parts Unknown on CNN, and before that hosted Emmy award-winning No Reservations and The Layover on Travel Channel, and The Taste on ABC.